Glaucoma is not one disease but a collection of different diseases marked by loss of the fibres within the nerve that connects the eye to the brain. Glaucoma can eventually damage the optic nerve that connects the eye to the brain. Most of the time, the first sign of glaucoma is minor side vision loss. Many forms of glaucoma progress slowly, and most people with glaucoma do not notice any symptoms until they have suffered significant loss of vision. Some people with acute glaucoma, however, may experience a sudden onset of pain, nausea, blurred vision or sensitivity to light, or they will begin seeing halos around lights. Glaucoma is most common in people over 40, but it can affect anyone at any age. If you have a family history of the disease, have diabetes or hypertension, or are of African origin, you have a higher risk of developing glaucoma. 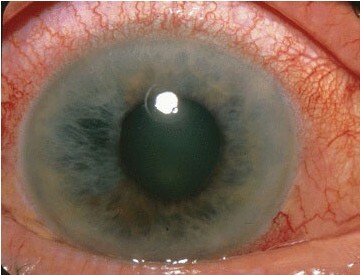 There is no cure for glaucoma, but it can be usually be controlled if it is caught early enough. There are several ways to treat the disease, and the best approach depends on what type the patient has and how advanced it is. Treatments include medications for lowering eye pressure, laser surgery, and conventional surgery. If you think you have Glaucoma or are in any way concerned about you eye health, please get in touch to book an appointment with one of our optometrists.